On Friday the Rikumo team took a field trip to the New York Art Book Fair to scope out new books for our upcoming in-store library. The fair, held at the MOMA PS1, brought together nearly 370 artists and publishers from all over the world. With everything from cartoon zines to On Kawara art books and poems by Emily Hunt, it was hard to decide what to bring back. Here are the favorites we picked up along the way- a preview of things to come as we unveil our in-store Rikumo Library this October. Laying Stones is the personal project of Munemasa Takahashi, a Japanese photographer whose organization Salvage Memory works tirelessly to restore personal photographs lost in the chaos of the Great East Japan Tsunami to their original owners. After a close friend committed suicide, Takahashi began laying stones in different places in the woods, following a folk belief that laying stones for the deceased brings closure to the senseless death of a child. The book encompasses a collection of photographs of the places where he laid those stones, and of the subjects in life that will "face the end and regenerate in a different form"- flowers, plants, light, the body. 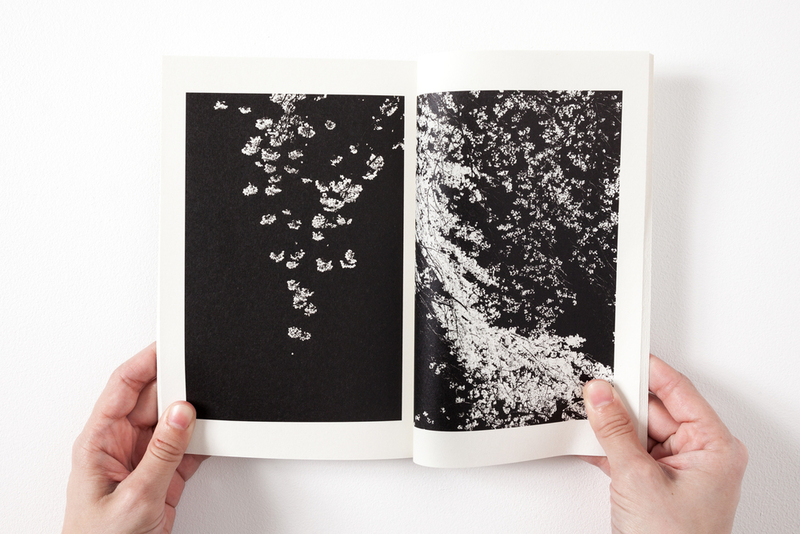 The book is beautifully bound by hand and features Takahashi's striking black and white photography against thick cream pages. It is a personal catalogue of loss, hope, and the agony of waiting. "Only two things we can do for the loved ones who left us," writes Takahashi in the insert found within the book: "One is to bid farewell, and the other is to never forget...We cannot see them or speak to them anymore. When [laying stones] it is important to pray that they departed to that somewhere where there is light." The pages of this personal diary/zine swarm with quirky doodles and observations from the hand of illustrator Margherita Urbani. The zine, published by Tokyo's Commune Press, chronicles the Italian-born, Philadelphia-based artist's first trip to Japan and the visual stimulation she experienced there. Hyperallergic describes the project as "less a play-by-play narrative of a first-timer's experience than an endearing, personal glimpse into a foreign culture that hovers between modernizing and adhering to tradition." We like the glimpses she gives of daily Japanese culture--the expressions on the faces of Japanese television, feeling too tall for the tables in coffee shops, the strong coffee in plastic cups. Written by blogger Ebony Bizys (better known as Hello Sandwich), the Tokyo Guide is exactly that (minus the sandwiches). Every chapter of the book features one neighborhood of Tokyo and outlines favorite galleries, stationery stores, and pop-up shops. Bizys' Tokyo is colorful, irreverent, and vibrantly dynamic: her zine exudes genuine excitement about sharing the lesser known corners of her city with us. Leading you around Tokyo's streets in a way that only a local could, Tokyo Guide includes maps, lists, and language essentials--everything we need to know when planning our next trip to Japan. Our founder, Kaz, talking to Takahashi, on right.